Drive into concrete with ease. Drill it. Drive it. Forget it. 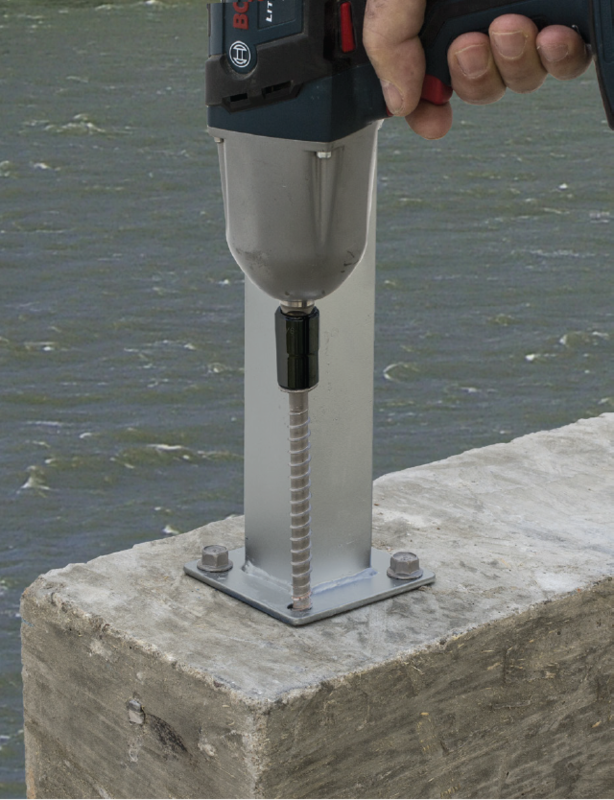 The trusted anchor solution for concrete and masonry applications in coastal and corrosive environments. 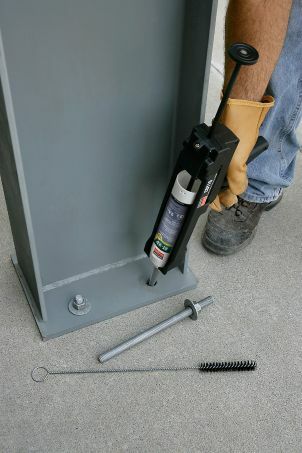 Part of the Simpson Strong-Tie® Anchoring, Fastening and Restoration System for Concrete and Masonry. 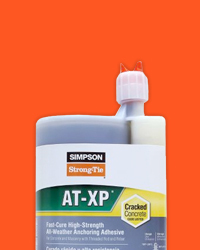 Superior performance in cracked and uncracked concrete at elevated temperatures. 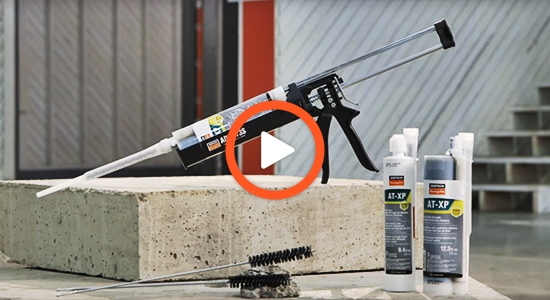 Formulated for high-strength anchorage of threaded rod and rebar into cracked and uncracked concrete and masonry, AT-XP adhesive dispenses easily in cold or warm environments. 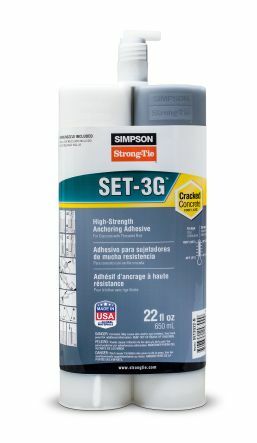 Simpson Strong-Tie is built on long-lasting relationships. 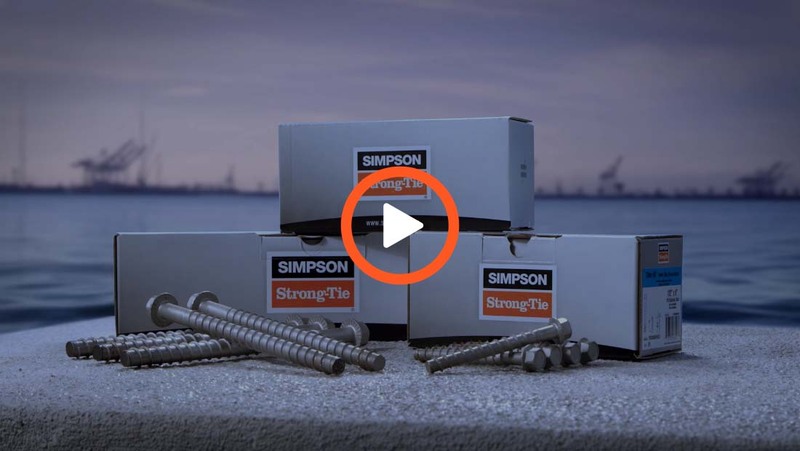 Simpson Strong-Tie creates the products that make the industry go. By listening to the needs of our customers, we continually innovate to deliver cutting-edge solutions. We’re your partner in structural engineering solutions. 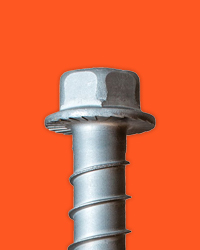 Titen HD® screw anchors are a trusted anchor solution because they offer the performance that specifiers need and the ease of installation that contractors demand. 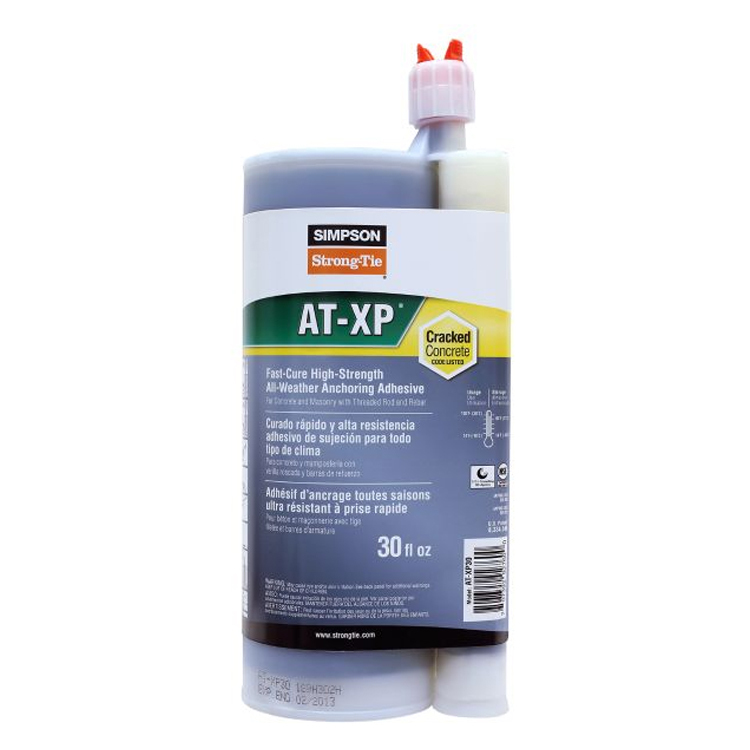 Until now, however, they were not for use in permanent exterior or corrosive environments. 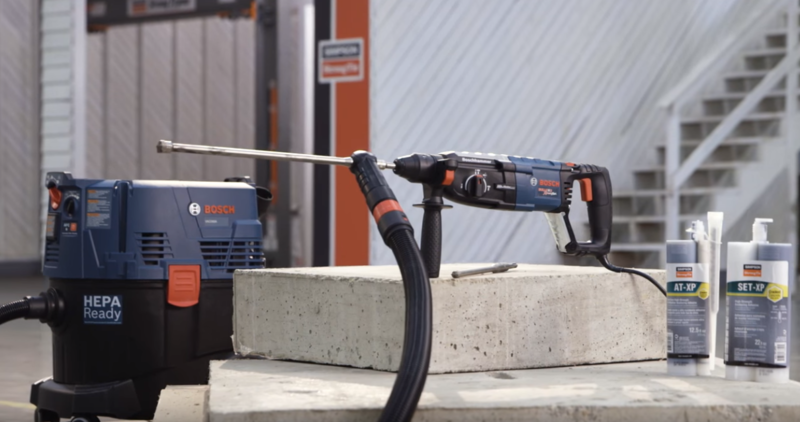 The Titen HD stainless-steel screw anchor for concrete and masonry sets the new standard for when the job calls for installation in multiple types of environments. 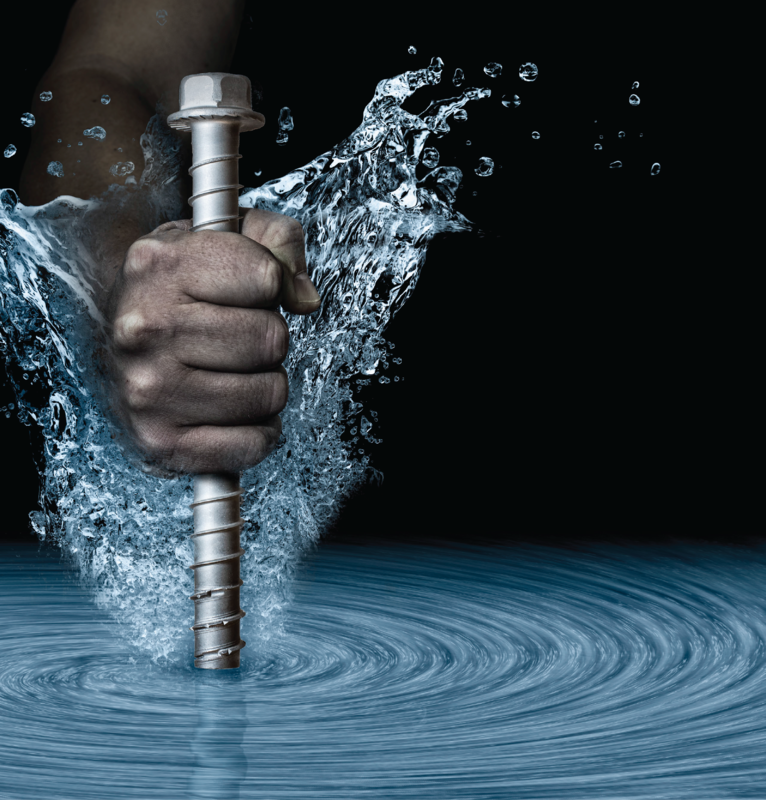 It is the ultimate choice to provide fast and efficient installation, combined with long-lasting corrosion resistance for an unsurpassed peace-of-mind. Innovative. Corrosion-Resistant. 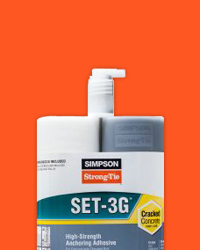 SET-3G™ is the latest innovation in epoxy anchoring adhesives from Simpson Strong-Tie. 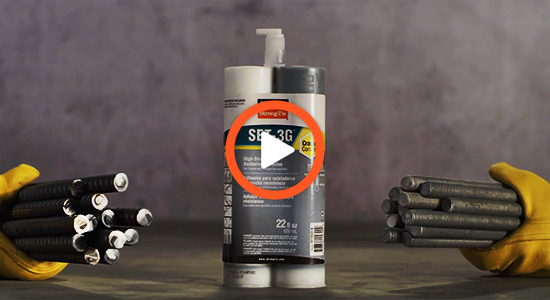 Formulated to provide superior performance in cracked and uncracked concrete at elevated temperatures, SET-3G installs and performs in a variety of environmental conditions and temperature extremes. 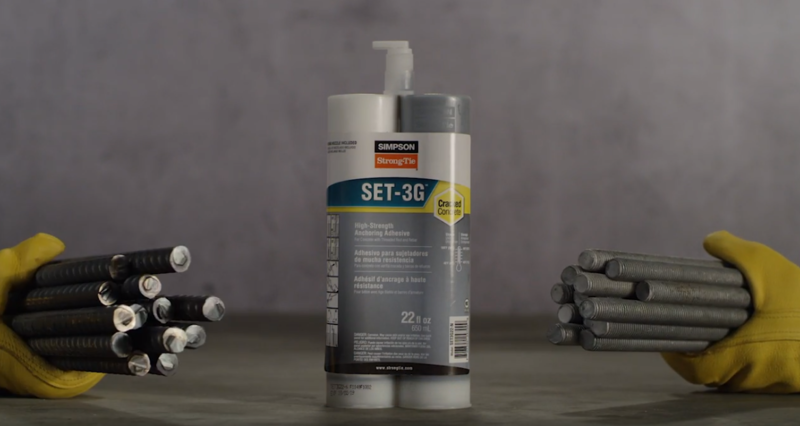 The exceptional bond strength of SET-3G results in high design strengths. 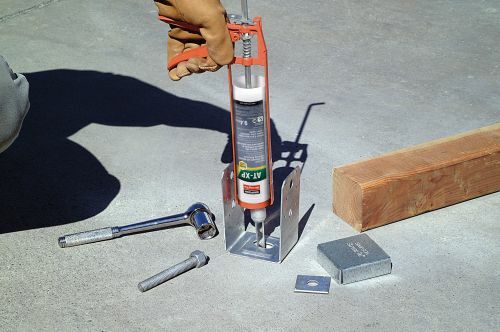 Formulated for high-strength anchorage of threaded rod and rebar into cracked and uncracked concrete and masonry under a wide range of conditions, AT-XP adhesive dispenses easily in cold or warm environments and in below-freezing temperatures. 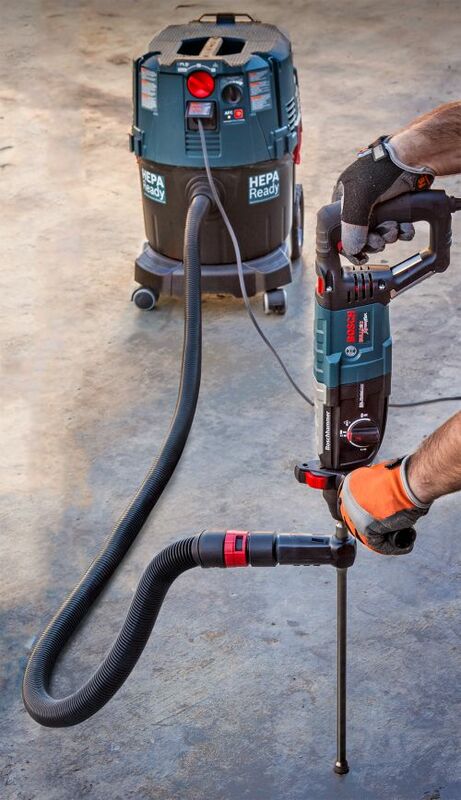 Developed in conjunction with the Bosch Alliance partnership, the Simpson Strong-Tie® Speed Clean DXS dust extraction system reduces dust while producing precise, clean holes for adhesive anchor installation. 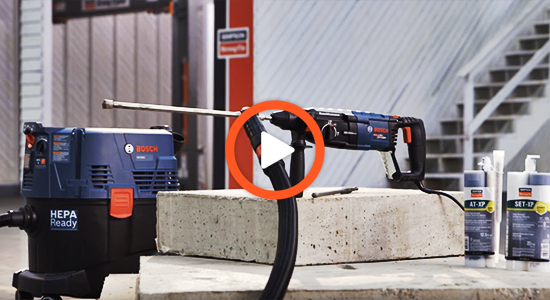 Speed Clean drill bits work in conjunction with Bosch and other commonly available vacuum systems and rotohammers to offer best-in-class concrete drilling. 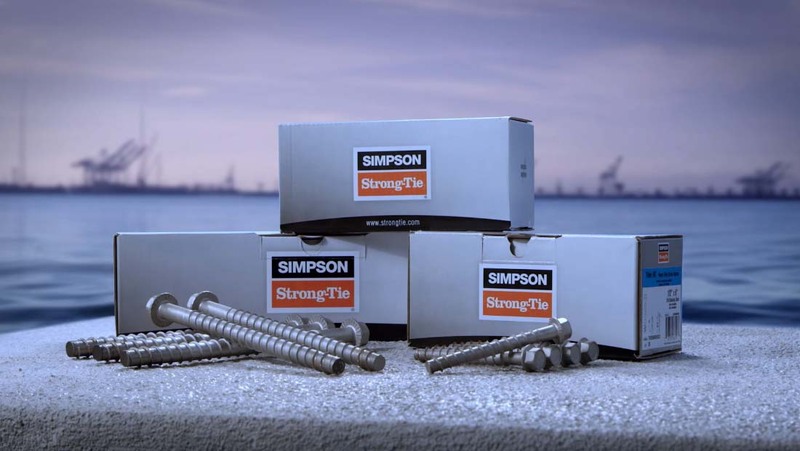 Simpson Strong-Tie has been creating quality products that exceed expectations for over 60 years. Through innovation and simply doing what’s right, we develop and test new product solutions that reduce time and increase jobsite efficiency. Our job is to support you. Insight into some tools and ideas that help make work more enjoyable and full of purpose. © 2019 Whitehead Industrial Hardware., A Division of Miller Hardware Company.